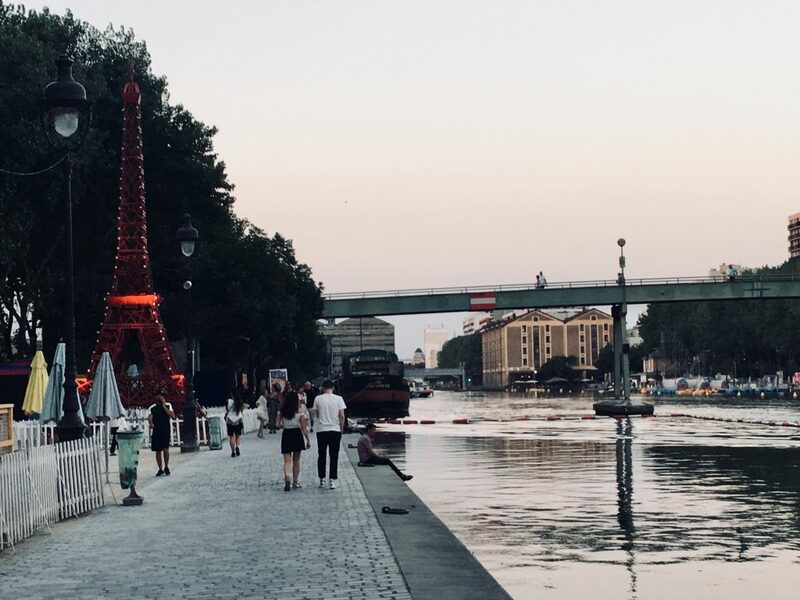 Carrying on from July’s mass exodus of local residents to beaches in the south of France, Paris in August is an odd and interesting time to be in the capital. It’s arguably both high season and low at the same time. Many shops, restaurants and bakeries close shop for summer vacation, leaving many of us frustrated at having just missed a chance to try out some of the better places for fresh bread, a good glass of wine or a new book. 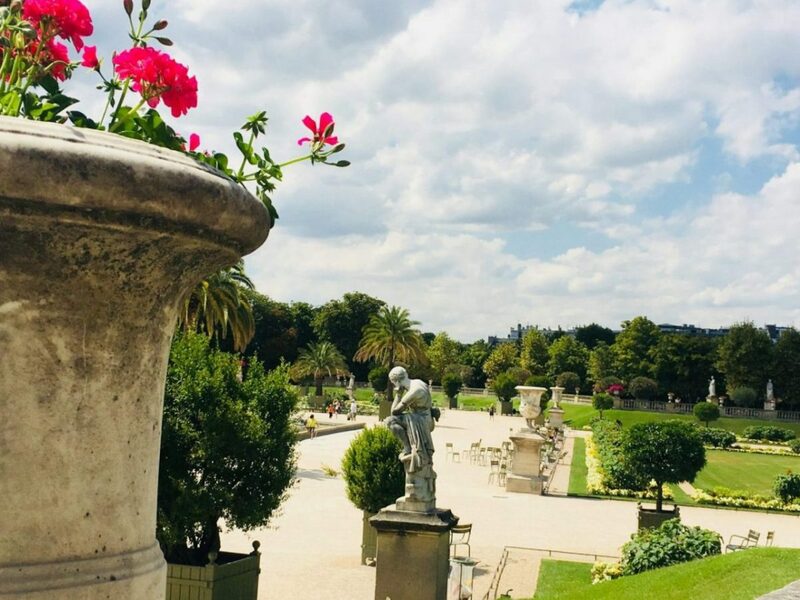 Jardin du Luxembourg in Paris, August. Image: Courtney Traub/All rights reserved. Yet tourist season is also at full hilt during this time: hundreds of thousands of visitors throng on the city in the late summer, taking advantage of the numerous free festivals and cheerful open-air events that spill over from June and July. This comingling of high and low season comes with both benefits and frustrations. In what follows, learn how to make the most of your August sojourn, and avoid some of its more common pitfalls. I also offer advice on how to pack and a rundown of some of the more interesting temporary exhibits on around town this month. Read on. How to Pack For Your August Trip? Best Things to See and Do in August? 1. Have a drink on a peniche (boat bar). August has its real advantages: long days that allow for drawn-out strolls, picnics, or other activities outdoors (scroll down for a few suggestions). There’s a more laid-back ambience, in contrast to the frenetic cosmopolitan vibe you’ll often experience earlier or later in the year. The locals who do stick around seem especially relaxed, lazing around in parks and flooding terraces. Even during a heat wave such as the one that’s struck in 2018, people adapt and make the most of it, even if it means retreating indoors to museums or shopping centers during the day and then living it up in the cooler evenings. Of course, there are downsides, too. One is cost: as one of the most popular times of year for tourism, August can rack up quite an expensive bill when you add up hotel stays, flights and /or train tickets. This is why it’s crucial to research these several months ahead of time and book at a time when you can lock in a good deal. To start the process, compare prices on flights and hotels at Skyscanner, or reserve train tickets and passes over at Rail Europe. What’s more, especially in recent years with increasingly prevalent heatwaves, it can be suffocatingly hot, crowded and sticky in August. If you like your personal space, ou may want to avoid long trips on the metro, opting to walk from point A to point B instead. And as mentioned earlier, you’ll find a fair number of shops and restaurants closed in August. 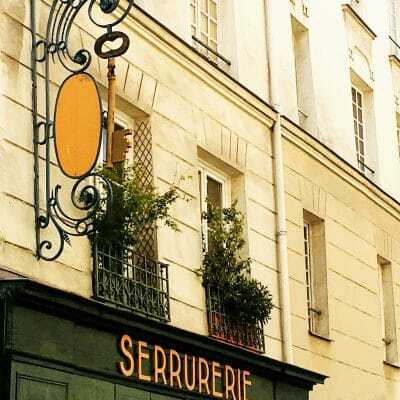 Often, frustratingly, they’ll be listed as open on Google Maps or their social media pages, but when you arrive you’ll find closed doors and a sign reading only fermeture annuelle (annual closure), followed, hopefully, by a re-opening date. I recently showed up at a cocktail bar reputed as excellent, only to find such a sign– despite the place being listed as open everywhere I’d checked. To avoid such disappointments, it’s better to pick up the phone and call the place you’re intent on visiting, and asking whether they’ll be open. The Theatre de l’Odéon in Paris, late summer. Image: Courtney Traub/All rights reserved. While August has historically featured relatively mild temperatures, heatwaves have become increasingly common, pushing upwards average temperatures and blanketing the city in intense heat and humidity. As this goes to press, forecasts for early to mid-August 2018 are predicting daytime temps regularly exceeding 32 degrees C/89 F–some seven degrees above seasonal averages! As a consequence, you should be prepared for the possibility of dealing with such extreme heat, and taking some precautions for your wellbeing. This includes making sure you stay hydrated and protected from harsh rays. Summer storms: August typically has a good number of sunny days, perfect for lounging outdoors. However, summer storm systems are also expected: usually, several humid, heavy and overcast days will be followed with a downpour and sometimes lightning storms. These can be unexpected and even violent; plan accordingly. I generally recommend packing plenty of warm-weather clothes, including skirts and dresses, shorts and light, breathable t-shirts. It can be incredibly humid and “mucky”, and you’ll want to pack clothes that effectively wick sweat away and that are made with breathtable cotton or linen. Also pack a couple of long-sleeved shirts and at least one pair of long pants or jeans, for cooler mornings and evenings. Bringing one pair of waterproof shoes is probably a good idea, too, unless you want to walk around with sopping wet sandals on the occasional stormy day. Hydration is essential, especially with average temperatures on the rise. Don’t allow yourself to get even slightly dehydrated: bring a thermos in your day pack or purse if you plan on long walks or even excursions by metro or bus. I really like and recommend the Klean Kantine brand: these thermoses are made of ecologically friendly materials and keep water or other beverages nice and cool. Also make sure to wear, and reapply, a good sunscreen with an SPF of at least 30. Even on overcast days, the sun can be more intense than you may think it is in the capital. While this month isn’t to the taste of those who want to be in the city when it’s at its most active and exciting, some will really enjoy the slightly lazy and wholly unfrenetic vibe. 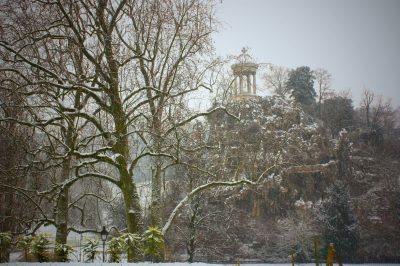 These are just a couple of suggestions for how to spend your time: you can also see this page the tourist office for a more extensive calendar of events. Sitting out by the water is one way to enjoy some cool breezes and to take advantage of Paris at its summery best. There are numerous excellent boat bars (peniches) offering drinks and/or food and charming waterside views. Some even host concerts or DJ sets in the evening, when cooler temperatures make sitting outside or even dancing a lot more pleasant. 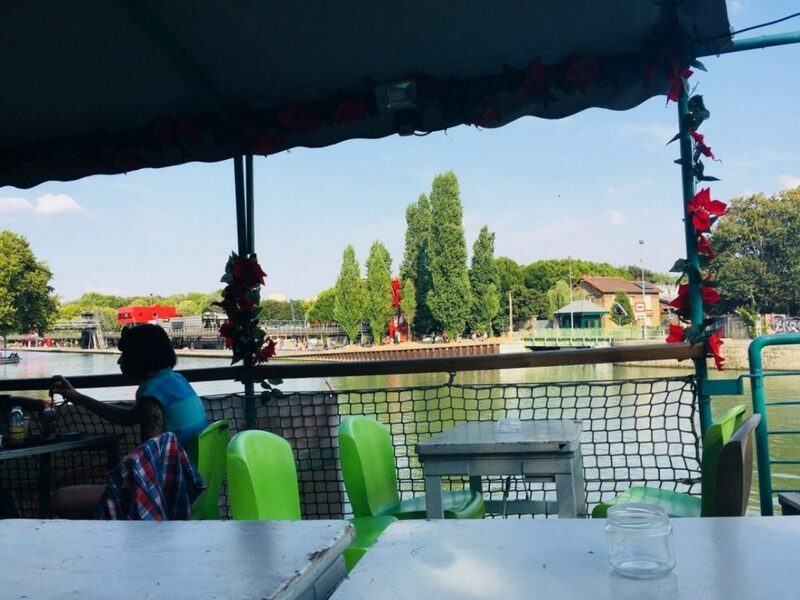 Boat bars I especially recommend include the Batofar, famous for its live music after dark; the Peniche Demoiselle, a charming yet wholly unpretentious barge stationed near the Parc de la Villette; and Rosa Bonheur sur Seine, an excellent and atmospheric peniche near the Musée d’Orsay. 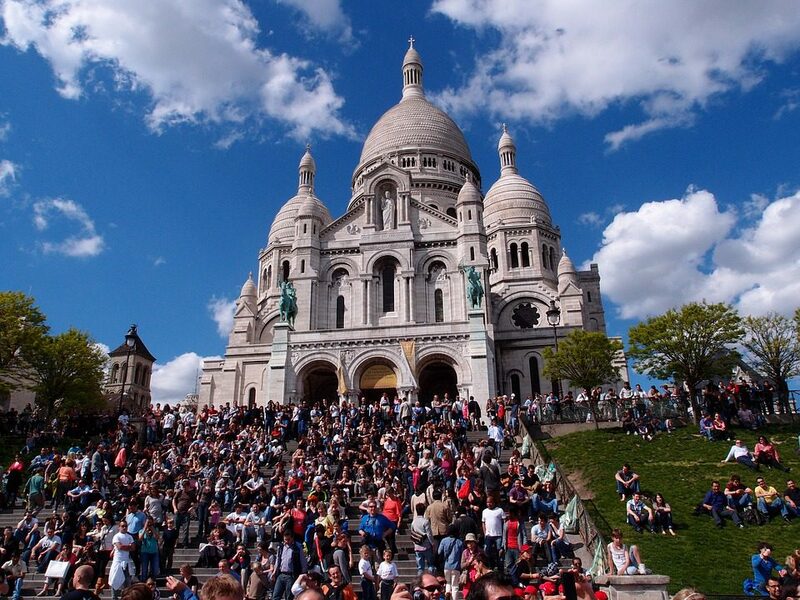 Read related: Are Paris Boat Tours & Seine Cruises Really Worth Your Time? For more on the best boat bars in the capital, you can peruse this list from Time Out Paris. One word of warning: It’s best to try to go either earlier in the day, at around 5 on, or later in the evening (from 10 pm), as these bars are quite popular with locals and can be impossibly full from around 6 to 10 pm. 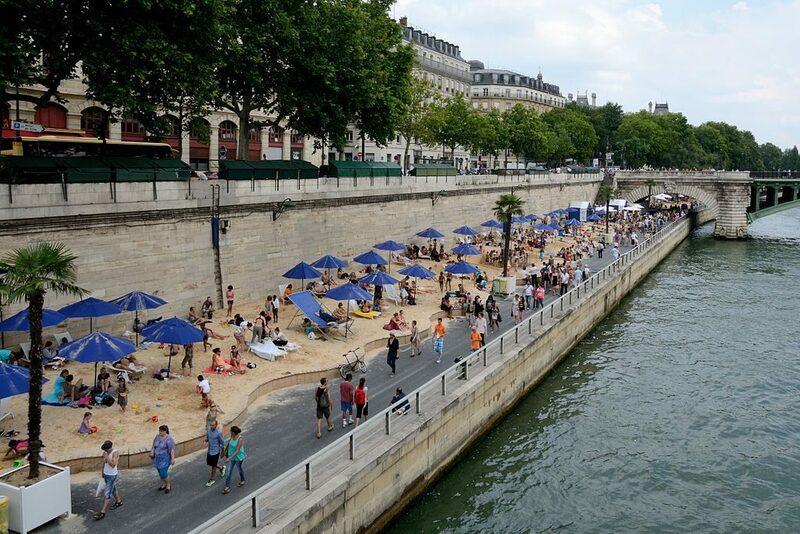 The annual pop-up beaches (“Paris Plages”) have become a permanent fixture in the capital during July and August. 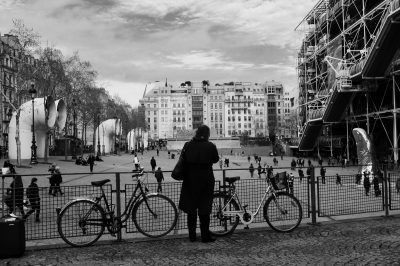 Every year, a long stretch of the right bank of the Seine is transformed into a beach boardwalk, complete with sandy areas, mist showers, chaises longues, beach bars, boating activities and more. 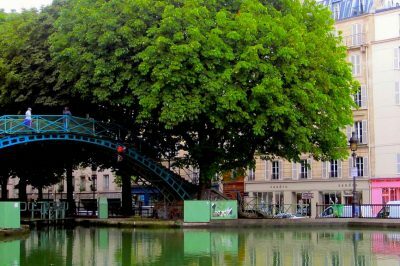 An additional beach location on the lesser-known Bassin de la Villette is arguably even more idyllic, with paddleboats and other rental boats, carousel, plunge pool and even a zipline just for kids. Entry is completely free, and this is an great activity for families with kids of all ages. If you really want to stake out a spot at the beach, however, make sure to get there early. In 2018, both operations for Paris Plages are open through September 2nd. Last but certainly not least, make sure to take advantage of open-air music and cinema in August, to really ease into the summer spirit and cool off in the grass, perhaps with a picnic. 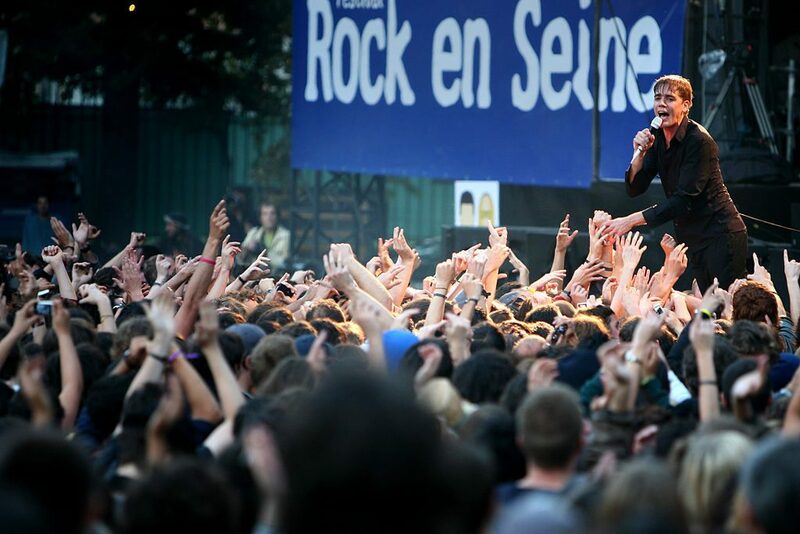 Rock en Seine is a three-day festival with big headlining acts in rock that takes over the Domaine de Saint Cloud just west of Paris every summer. You can even camp onsite to really make the most of the experience. Film fanatic? Just like being outdoors on a balmy summer night? 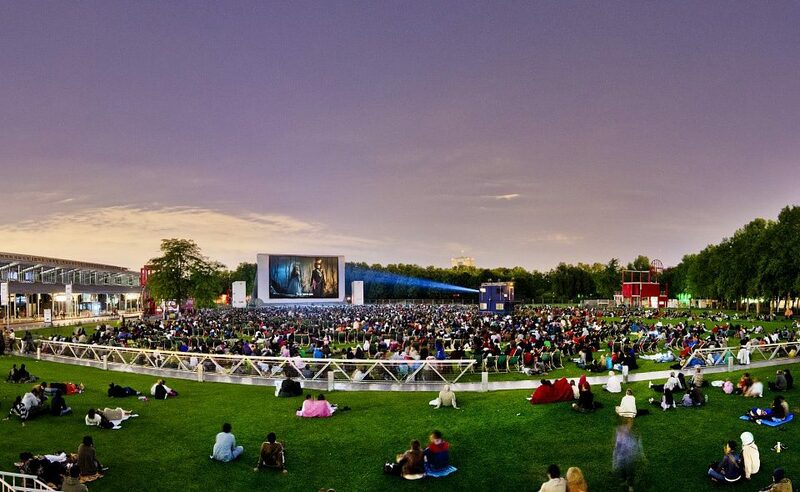 Pack a picnic and head up to the Parc de la Villette in northeast Paris, where dozens of movies are screened for free as part of the yearly Open-Air Cinema event. Related: How to Stage the Perfect Picnic in Paris? 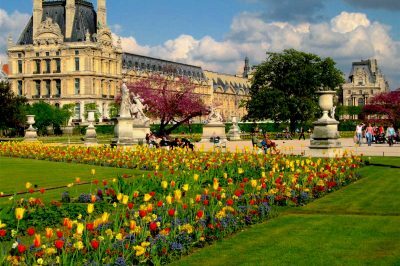 Since, as mentioned earlier, August is low season for in some respects, there aren’t generally as many noteworthy shows and exhibits to see as there are in the early fall and spring in Paris. Nevertheless, there are a few highlights worth spending some time on. Below are just a couple I ecommend, and you can also browse a fuller list here. 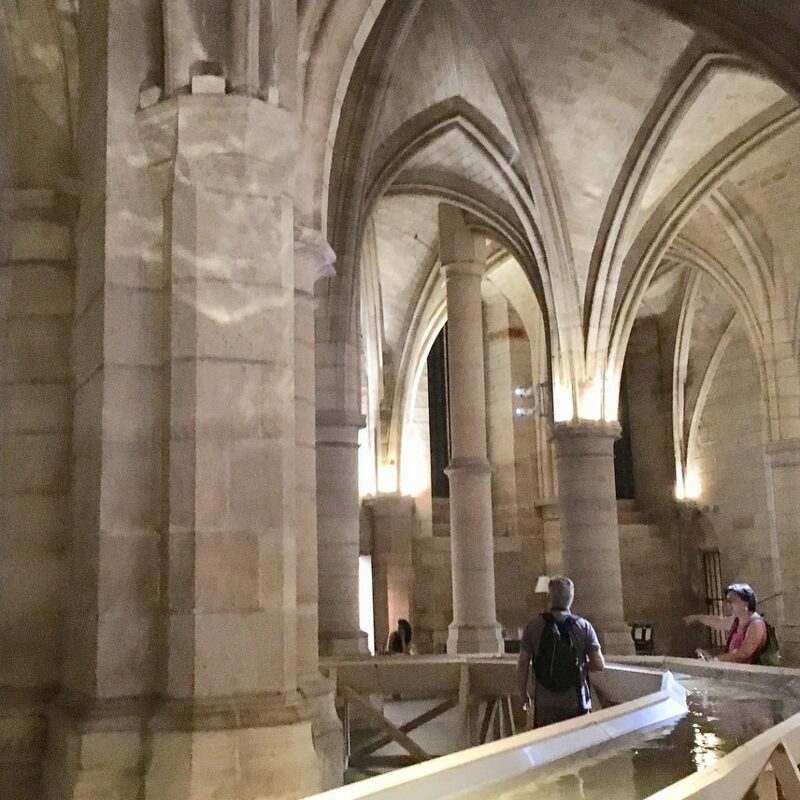 One of the most fascinating exhibits on through the end of August is an installation by French artist Stéphane Thidet, “Detournement”, that redirects a small amount of water from the Seine through an elaborate artificial channel through and out of one of the city’s oldest buildings: The Conciergerie. Thidet has achieved something quite remarkable: creating a pump and wooden channel system that diverts river water into the former medieval palace and Revolutionary tribunal, through a lovely artificial river that snakes through the grand old hall, and then back out another window, where it splashes in waterfall-like fashion back into the Seine. This remarkable inaugural show at the Atelier des Lumières, a brand-new arts space near Pere Lechaise Cemetery, is simply mesmerizing. 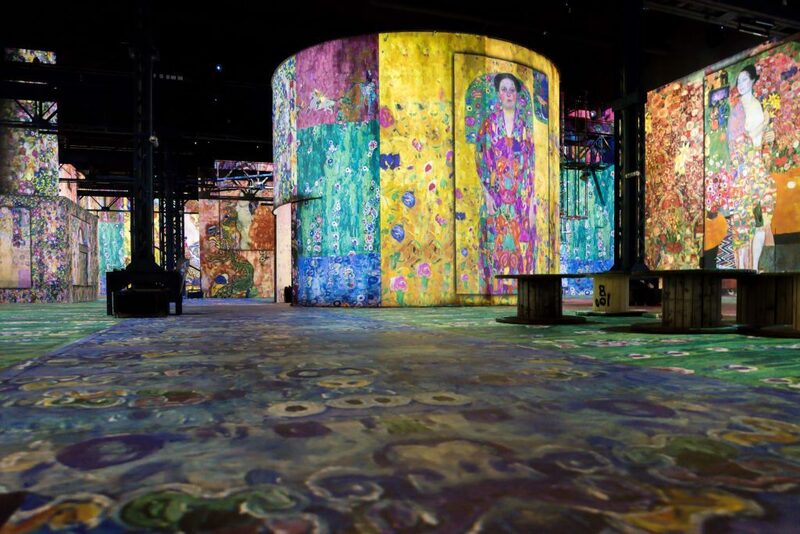 It’s a sumptuous, multisensory experience that brings a decidedly contemporary spin on the Viennese Secession movement, an artistic school headed by the likes of Gustav Klimt and Egon Schiele. An immersive exhibition that brings together music and digital animation in larger-than-life, wildly colorful digital panels, the show walks you through a century of art history. To purchase tickets online in advance (recommended), visit this page. If so, don’t overlook the importance of travel insurance. World Nomads is a well-known company offering a number of policies and options for your next trip. You can compare and buy travel insurance policies direct here. *Disclaimer: This post contains a small number of affiliate links. 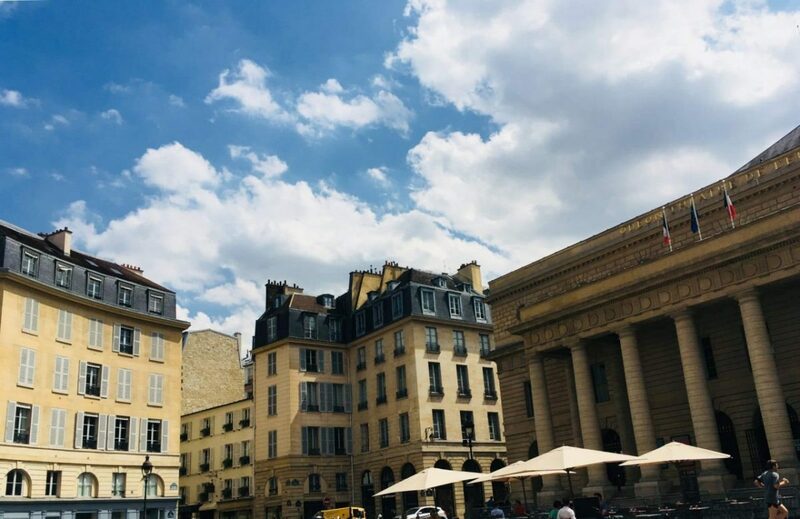 If you book products or services though these links, it comes at no cost to you, but will fund more free, original articles and travel tips at Paris Unlocked. Many thanks.